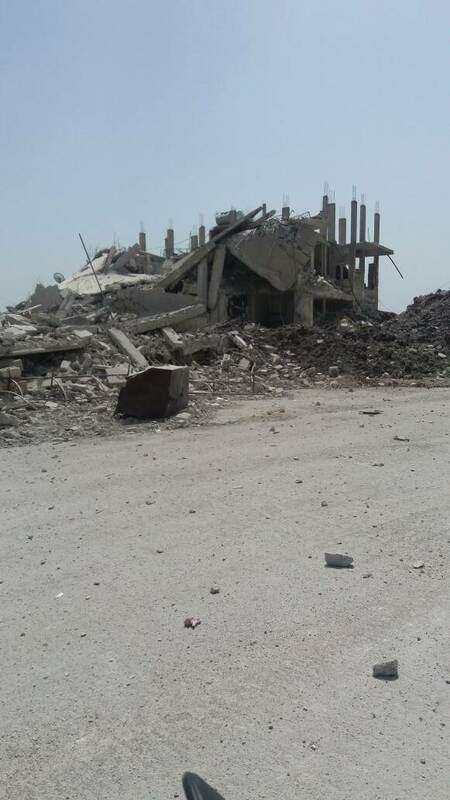 Washington DC- The specialized surgical and maternity hospital in Kafr Zeta, Hama, was leveled to the ground this weekend after being attacked three times in 24 hours. 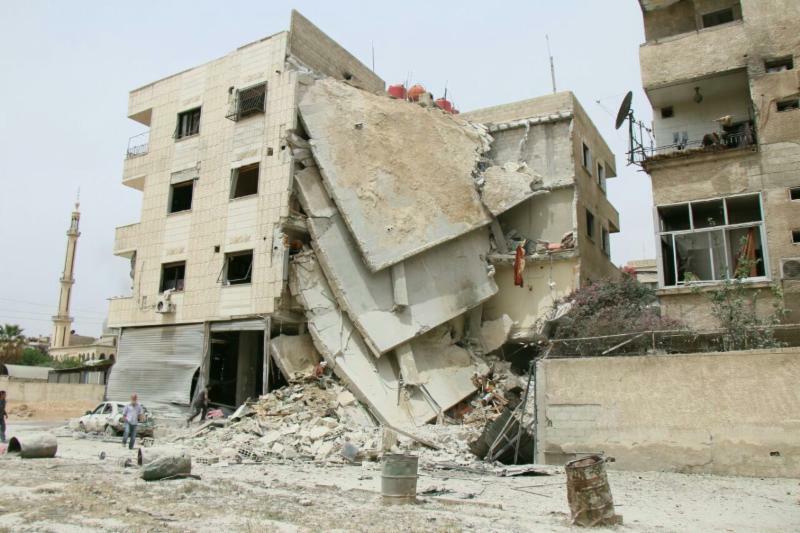 The first attack happened on Friday, April 28 at 4 p.m Damascus time, causing damage to the facility and the outpatient clinics. The second attack happened on Saturday, April 29 at 8:45 a.m. Damascus time. This attack caused major damage to the emergency department and injured one staff member. The third attack happened at 2 p.m. Damascus time on April 29. This attack completely destroyed the facility. No fatalities or injuries were reported as the hospital was evacuated due to earlier attacks. The hospital provided 4,050 consultations, 100 natural birth deliveries, 40 C-sections, 280 major surgeries, and 66 war related trauma cases a month. 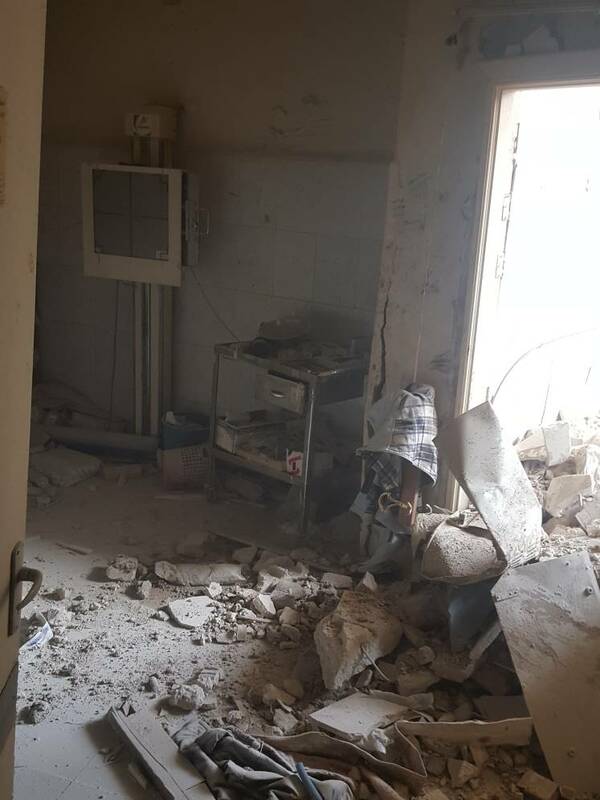 The hospital was built and donated by Dr. Hassan Al-Araj, a cardiologist, who was killed in a targeted attack of the Cave Hospital in Hama, one year ago in April. Dr. Al-Araj wanted the specialty hospital to provide free medical care to the people in the area. 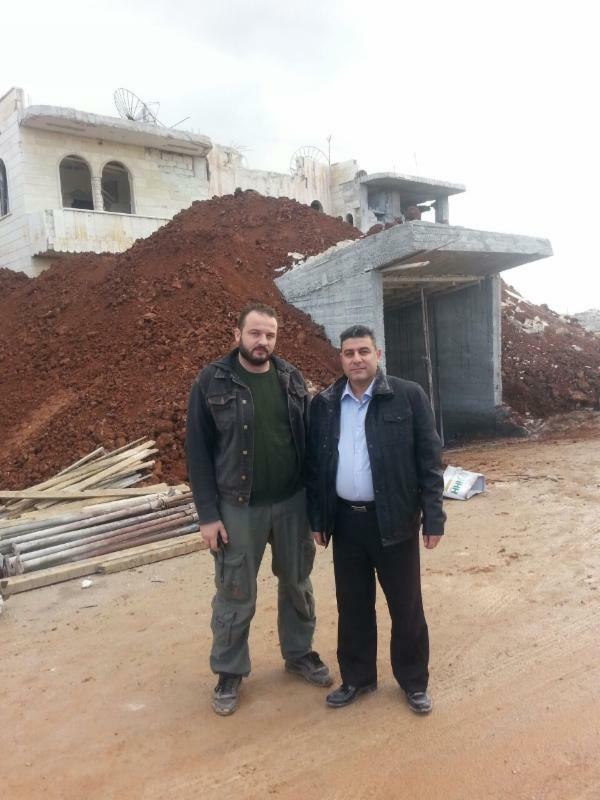 A picture of Dr. Dbais (left) with the late Dr. Al-Araj, (right) in front of emergency entrance to the hospital, which he covered with dirt to fortify the building. The emergency entrance to the hospital after it was completely destroyed. 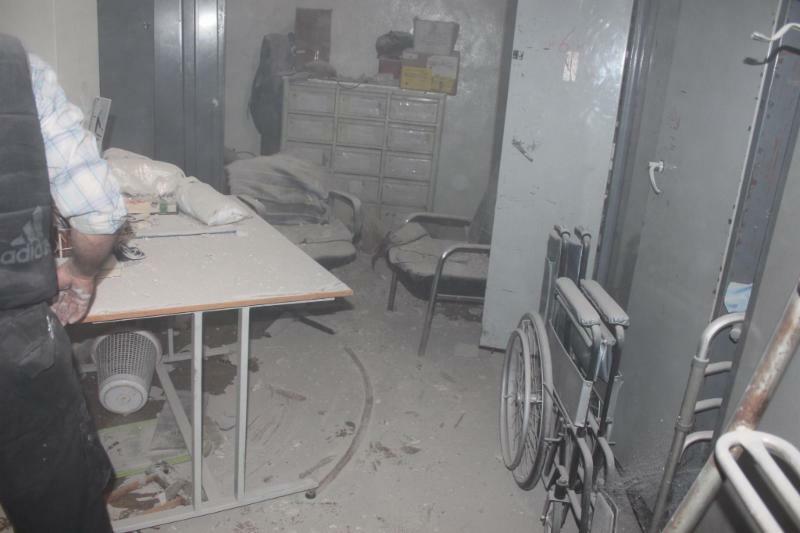 Attacks on medical and civil facilities continue in all areas of Syria. 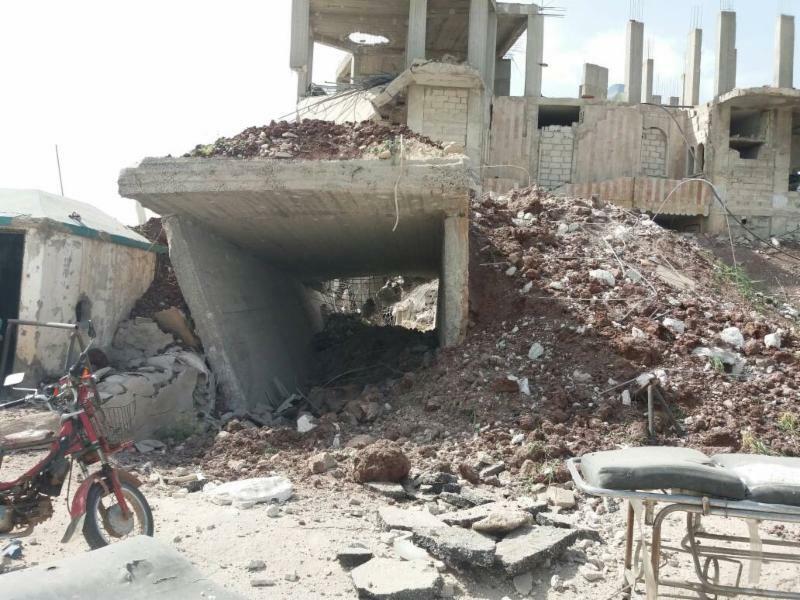 Today, May 1, at 11 a.m. Damascus time, the Arbeen Surgical Hospital in eastern Ghouta was attacked and put out of service after the four-story building next to the hospital collapsed on the facility. Three civilians were killed (two children and a woman) and tens of civilians were wounded. The hospital provided an average of 1,400 consultations and 125 major surgeries a month. On April 29 at 12:30 p.m. Damascus time, the Kafr Zeta Civil Defense Center (White Helmets) was attacked killing eight staff. The facility was put out of service. On Friday, April 28, at 1 a.m. Damascus time the Nuaymah Hospital in Daraa was attacked and put out of service.